Getting tired of talking about the weather? Had your fill of “Fever” or “The Summer Knows?” This has not been a great week for outdoor music, but there’s a promise of a mild cooldown, and plenty of great music to enjoy in air conditioned interiors as we head into late July. Rescheduled after the death of his father a few weeks ago, former Twin Citian Bruce Henry is back in town for a weekend at the Dakota (7/22-23). Since returning to his native Chicago two years ago, the Dakota hosts Bruce every few months, and it is always a pleasure to hear some old favorite songs like “Afro Blue” with new takes on bebop, R&B and gospel-influenced hits, from Charlie Parker to Stevie Wonder. 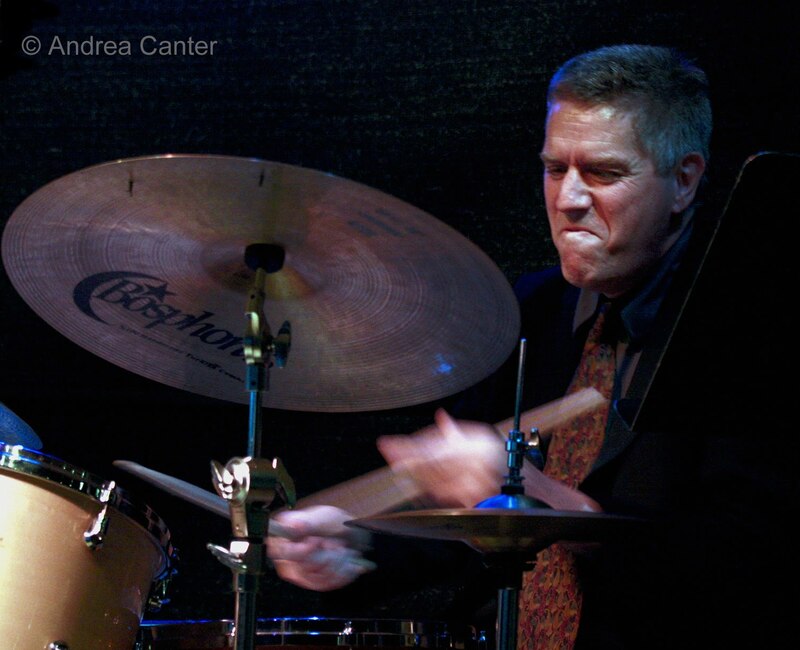 The Phil Hey Quartet plays the Artists Quarter nearly monthly, so it can be easy to take their ferocious energy and consummate artistry for granted. But don’t—monthly gigs are hardly enough, and their weekend bookings are few and far between, so head to the AQ Friday and/or Saturday night (7/22-23) for your PHQ fix. And it will be a little different this time, with monster bassist Adam Linz on the bandstand in place of Tom Lewis. Adam and Phil are often in the same place at the same time but this will be a rare opportunity to hear Adam with Phil Aaron and Dave Hagedorn. Expect the evening to have a bit more edge. Saturday (7/23) offers a different sort of opportunity at the Gingko Coffee House—the chance to hear one of tomorrow’s stars at the beginning of his pro career. 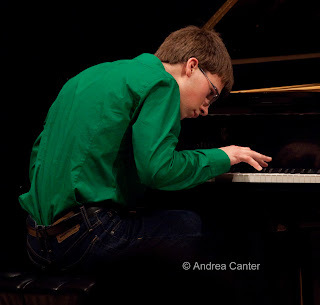 Pianist/composer Quentin Tschofen is all of 17, a new high school graduate heading to UW-Eau Claire in the fall, and he’s starting to book gigs around the metro. Winner of scholarships in the past two Schubert Club/Dakota Foundation for Jazz Education jazz piano competitions and pianist for the Dakota Combo for the past two seasons, Quentin brings in a trio of slightly older players (Ted Olsen on bass, Matt Buckner on drums), the same configuration that he led at the 2011 Twin Cities Jazz Festival’s “piano showcase” on the Youth Stage. Quentin already has a diverse repertoire, including the challenging works of Charles Mingus and his own sophisticated compositions. The Monday night gigs and jams at Jazz Central provide some of the most exciting music in town, in large part due to the imaginative bookings of Tanner Taylor and Mac Santiago, proprietors of this “underground” collective space. Running a noncommercial venue has its advantages, including the freedom to schedule music based entirely on artistic criteria. There’s no cover—just a request for donations. There’s no restaurant or bar—you can bring your own. There’s no chatter—it’s a space “by the cats, for the cats.” This Monday (7/25), you can hear one of the new trombone talents in town—Scott Agster—with the house band of Taylor, Santiago and Keith Boyles, with special guests Dave Graf, Michael Nelson, and Wade Clark (that makes 4 trombones!) and Shai Hyo on congas. The “Bone Band” will unveil some of Agster’s new Latin arrangements. Earlier in the evening (7/25), "Musique Mystique" continues just down University Ave at the Loring Pasta Bar, with Lucia Newell and Dean Magraw. That’s sublime meets sublime in jazz terms, and you can count on a lot of playful repartee as well as very cool duets. Another local guitar giant, Joel Shapira brings his “Open Lines” quartet to the Aster Café on Wednesday night (7/27). 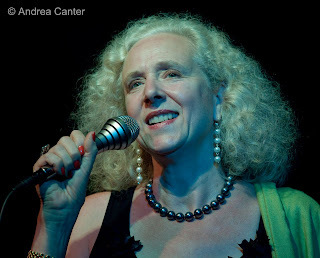 This culminates a busy week for Joel, who joins with Charmin Michelle (Charmin & Shapira) for Saturday brunch (7/23) at Hell’s Kitchen; goes solo at Ingredients Café on Saturday night (7/23), and spreads jazz throughout the Alexis Bailey Vineyard in Hastings with Jon Pemberton on Sunday afternoon (7/24). “Hot and Crusty” describes not only the pizza at Fireside but the duo of Charmin Michelle and Denny Malmberg. (Go listen; you can decide who is “hot” and who is “crusty…) They’re usually in the band corner Mondays and Wednesdays (7/25 & 27). Nothing better in July than a cold beer and hot “Kiss My Face” pizza to accompany classic swing tunes. Banjo, bass and drums? Makes sense if the bass and drums belong to Adam Linz and JT Bates, with Paul Metzger handling the banjo! Free jazz and great food (ask about the special jazz night prix fixe menu) join together on Wednesday (7/27) at Café Maude. Best to make a reservation and ask to be seated near the music or you could end up in aural purgatory. Continuing a tradition of presenting former regional stars who have gone on to the Big Apple, the Artists Quarter brings in Wisconsin native saxman David Bixler (7/27). Bixler toured with Lionel Hampton, Toshiko Akiyoshi and Duke Ellington. About ten years ago he joined the Chico O’Farrill Afro Cuban Jazz Orchestra, where he began an ongoing collaboration with Grammy-winning pianist Arturo O’Farrill. That’s a lot of cred for a $5 cover. And come back Thursday night for the nearly monthly blowout with the Pete Whitman X-Tet. For as complete a jazz listing as we can find, visit KBEM online.